The middle set of Torchwood: Aliens Among Us provides four more instalments of Torchwood’s audio-only fifth series. Producer James Goss, script editor Scott Handcock, and a crack team of writers (almost all new to Big Finish!) continue to make it seem not only like Torchwood never left, but make it better than it’s ever been. Big ensemble casts are hard to pull off on the budget of audio drama, but Love Rat makes it work with a charm. In some ways this is a rerun of the first series’s Day One, with an alien influence making people sexually voracious, but either Torchwood has grown up or I have, because it works a lot better here. While Jack is randier than ever, Gwen, Orr, and Mr Colchester have to try to keep the city under control, while Tyler Steele tries to play the team off Cardiff’s new alien mayor. Of this whole set, this is probably the one that comes the closest to feeling like an adventure-of-the-week for Torchwood, which is both good and bad. Good because an ongoing series needs that, it can’t all be gigantic adventures, and because it has some great moments: some good comedy with Jack, some horrific choices by new character Ng that could have explosive consequences. Bad because it’s not terribly memorable: though I remember enjoying it, I have to admit I’ve already forgotten a lot about it! Well done, though; if Day One had been this good back in 2006, I’d’ve been much more well-disposed to Torchwood from the start. 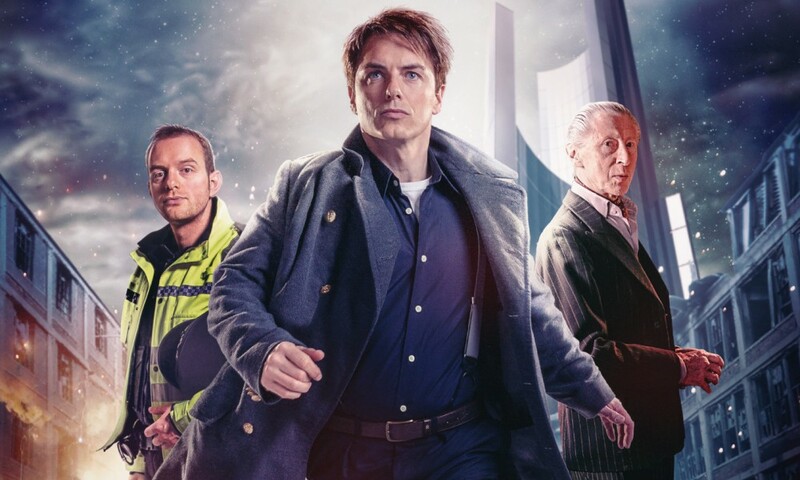 Mac Rogers is a playwright responsible for the currently-unfolding podcast drama Steal the Stars from Tor; here he makes his Torchwood debut with a delicious tale of upward mobility and the real estate bubble in Cardiff Bay. Paul Clayton’s Mr Colchester and his husband Colin (played by the ever-present Ramon Tikaram; presumably there will be no Torchwood/UNIT crossover because it would get confusing) are living in a luxury condominium… only the caretaker is none other than Bilis Manger. 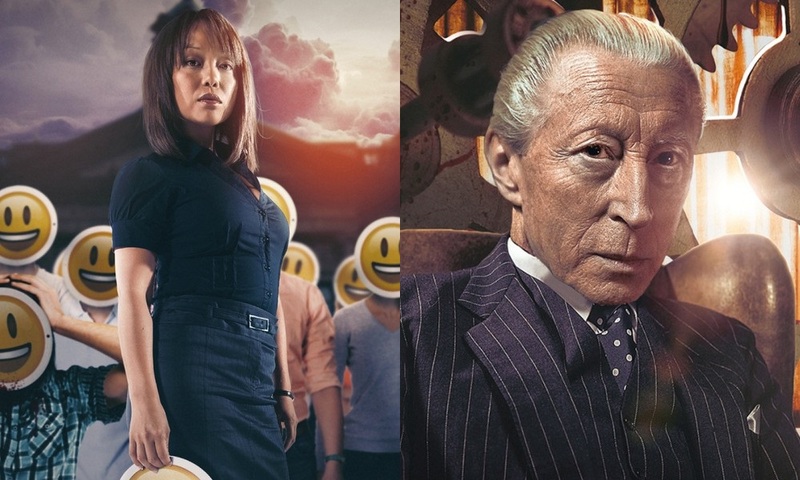 Murray Melvin was great in Captain Jack Harkness and End of Days, the two-part finale to the first series, and he’s still great on audio, creepily schmoozing his way through scenes, instigating violence but remaining above it. He’s not connected to the alien threat in Cardiff, but his plot plays off the main one. A Kill to a View is a nice showcase for Paul Clayton as Mr Colchester: we get to see his home life, and his relationship with his long-suffering husband. It’s also a macabre series of dinner parties with a nice line in black humour. There’s also some nice light comedy when Rhys tries to ingratiate himself with Colin so they can be “Torchwood widows” together but Colin is unimpressed. And suddenly it all gets deathly, compellingly personal. This is exactly what Torchwood should be, mixing the human, the fantastic, and the dark. I hope we hear more from Mac Rogers at Big Finish, and I look forward to getting around to Steal the Stars. Tyler Steele falls for a cute delivery man working for a sort of Uber-esque app-driven gig-economy company. At first, the listener thinks there’s a time loop in play, but it soon becomes obvious that it’s something much more insidious. Zero Hour, which mostly focuses on Tyler, but gives us Gwen as his cynical foil, is a neat, high-concept story, but with a human heart. This is the most vulnerable we’ve ever seen Tyler, and Jonny Green rises to the occasion, giving us someone somewhat “nicer” than the Tyler elsewhere in the set, but recognisably the same person. I’ve always liked Torchwood’s PC-now-Sergeant Andy; I was amazed he made the leap to Hollywood in Miracle Day, and I’m delighted that Big Finish have given him his due across their various releases, including making him the focal character of the set’s final episode. Andy Davidson has shot a person of colour for no apparent reason, making him the latest perpetrator of a police hate crime. Tom Price does wonders here. Andy has always been as steady as a rock in his own way — he might not be the most competent of guys when it comes to weird Torchwood stuff, but you can count on him to do what’s right, and he earnestly believes in the police — so listening to him as his world disintegrates is just so desperately sad. He doesn’t think he’s done this, but all the evidence says he has. There’s a series of excellent scenes with him and Rhys locked in his house as the press and protesters assemble outside, and listening to him just disengage with the world is depressing. Particularly the climax, where it’s set to happen all over again, is riveting and gave me genuine fear for Andy. The only thing to not like here — because there’s a lot going on, including Jack flirting his way into command of radical student groups! — is the way it all wraps up on the political level, where how the mayor averts the growing crisis is too pat and too easy and not believable. I keep saying it, but if Torchwood had been this good on TV, I would have loved it all along. Children of Earth was great, but it succeeded by breaking the format. Aliens Among Us shows that the format works. 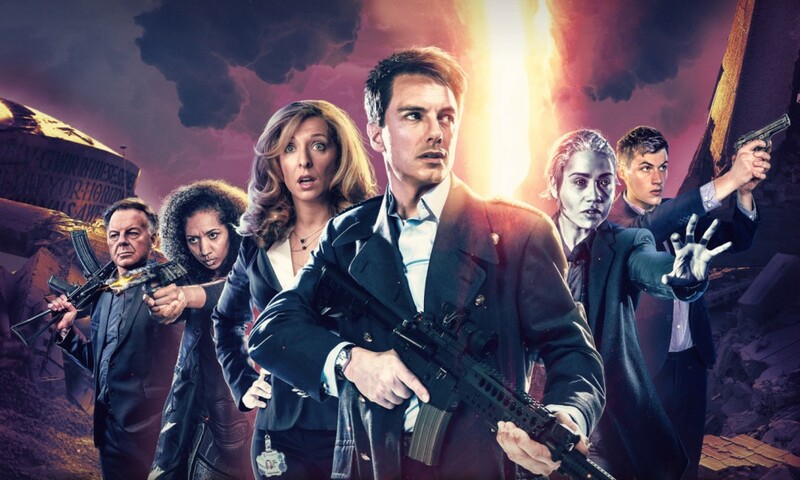 Torchwood: a team of misfits fighting the darkness and encountering wonders in Cardiff. This is how is should be. Captain Jack and Gwen are recognisably who they were even if they both have their own secrets, and the new characters have slotted right into place like they’ve always been there. I’m particularly enamoured of Mr Colchester, but Sam Béart’s Orr is also quite good (I just wish they got more to do), and Tyler has a certain loveable slime to him. It’s written well, acted well, and thanks to Steve Foxon, Blair Mowat, and Steve Wright, it sounds just like Torchwood too. I’m looking forward to the third volume immensely, but disappointed that it will be the last. Hopefully Series Six is not far behind! Aliens Among Us 2 (by Christopher Cooper, Mac Rogers, Janine H. Jones, Tim Foley; starring John Barrowman, Paul Clayton, Alexandria Riley, Jonny Green, Sam Béart, Kai Owen, Tom Price, Eve Myles) was released by Big Finish Productions in October 2017.